We hold peace talks without either side having a viable solution on the table. We hold peace marches carrying signs that mention War. We launch wars to establish peace. We erect statues to generals but not peace martyrs. We carry guns to feel safe. Our governments begin and end in revolution. We watch endless hours of violence on televisions. We buy violent video games for our children to play. Our most prized award – The Nobel Peace Prize – has an exploding stick of dynamite on its reverse side. It will take the combined thoughts, words and actions of a multitude to begin to create a wave of change. This entry was posted in Uncategorized and tagged compassion, god, healing, human-rights, Peace, Peace Initiative, politics, power of words, War. Human-rights, World Peace. Bookmark the permalink. Alva, thank you for your kind words. We each do our part in making a difference in world awareness. I am following a dream and appreciate your sharing this site with others. 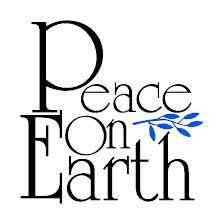 Wishing you Peace in every possible aspect of your life!